FLEMINGTON, New Jersey -- Less than 90 minutes from New York City there is another realm called Northlandz, one of the world's largest model railroads. 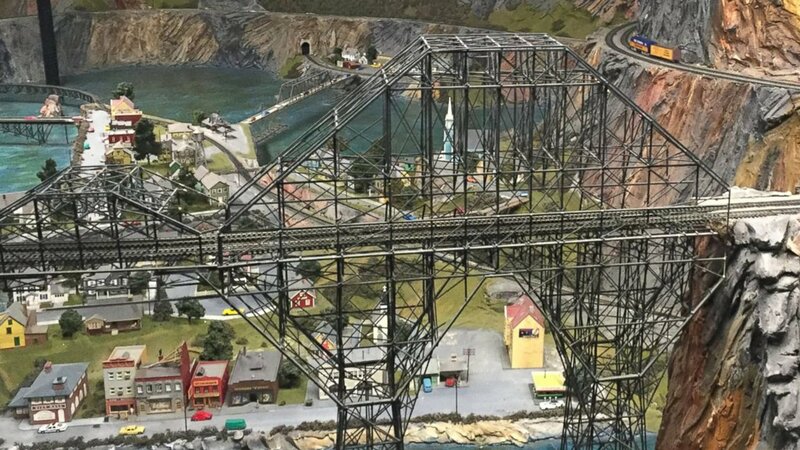 Over the past 19 years, creator Bruce Zaccagnino of Flemington, New Jersey, has made it his life's work building intricate sets that he dreams up. The complex dioramas include 400 bridges, 200,000 pounds of plaster and 50,000 ft. of model train track which equates to over 8 miles, he said. It can take a family more than two hours to tour all the sets. Explore Northlandz on top of a train in this 360 video by dragging the video with a mouse -- or watch it on a mobile device with the Facebook app. 360 VIDEO MUST BE VIEWED ON CHROME OR FIREFOX BROWSERS.